I don't know if you've seen this but this is the best version of that song I've ever heard. Sorry I'm not the right person to answer your questions though. But I've heard a couple of the songs you posted and I can imagine your voice is well suited for the part. volothampen's video is definitely an incredible rendition of this song. Punchier and chestier than the first video. Not an easy song to perform by any means. Ken could wail on this, and he already has the hair. Awesome song and congrats on getting the part! To me Balsamo's feels more like classic Broadway compared to Neeley's grittier rock-version. Both are outstanding though. If you're looking for a chesty-belt sounding version of Gethsemane, John Farnham did an interesting version. He sounds pretty chesty the whole way through, though I think he's deliberately taken out some of the highest head-voice screams. 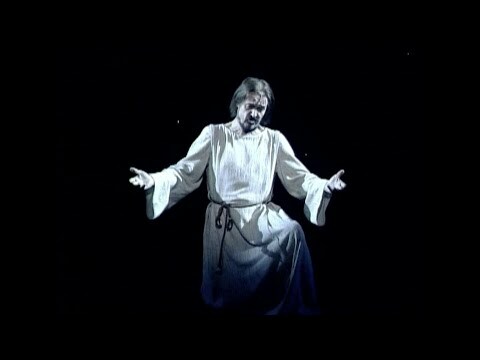 Ted Neeley's original version as featured in the film has, in my opinion, never been bettered. In fact all the vocals performances in that film are superb. 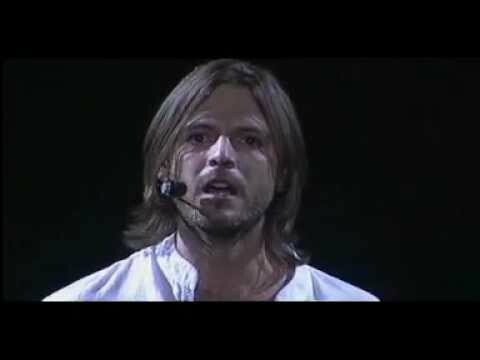 The versions of Gethsemane that (as mentioned earlier) Steve Balsamo and John Farnham did are also first rate. And I agree with you guys, Ken would be perfect in the part... I would love to hear him sing "Gethsemane" sometime in the future.